The NXT is a high performance, handcrafted, molded carbon fiber, designer kit that went through extensive wind tunnel testing and computer modeling before the first carbon fiber mold was made. 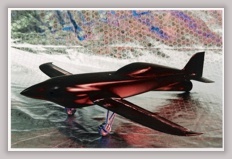 All aircraft components are modeled in the computer and extremely accurate parts are generated from these models. All the outer mold line tooling was CNC machined, providing the most precise kit airframe components produced anywhere. The resulting accuracy allows the builder to cut exactly on trim lines minimizing wasted time fitting and re-trimming. Nemesis Air Racing uses FAA approved FiberCote E760/carbon fiber pre-preg material and other aerospace quality material throughout the kit. We manufacture adjacent parts using Perfect Fit Technology™ (PFT) and pay attention to every detail, providing the assembler a quality, fast building kit. include the following. Nemesis Air Racing reserves the right to add any components to or delete any components from the following list. Includes 24 volt fuel pump, fuel filter, throttle mixture bracket, couplings, fittings, hoses, fire sleeve, cable lock and nuts. Includes oil cooler, oil filter, oil filter mount, hoses, fittings, oil cooler bracket, plugs, unions, fire sleeve and adapters. In the price we include a set of 4 tennis balls to protect your wingtip!!! Do you need a special paint scheme for your NXT? Please contact us and we can offer you a very cool design for very reasonable price!